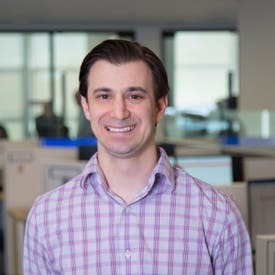 Matthew Goldberg is a consumer banking reporter at Bankrate. He graduated from Illinois State University with a bachelor's degree in mass communication and earned an MBA at William Paterson University. He began his writing career in 1998 at Sun Publications in Crystal Lake, Illinois. He was sports editor at The Daily Vidette, a sports reporter at The Journal Standard and a sports writer at The Quincy Herald-Whig. His work has also appeared in Sports Illustrated On Campus. He has been honored by both the Illinois Associated Press Editors Association and the Illinois Press Association. He also has more than seven years of financial services experience, in both banking and insurance.